*Occurrence of leaf blight and stalk rot is not necessarily related despite being caused by the same pathogen. This is because resistance to leaf blight is not highly correlated with resistance to stalk rot. 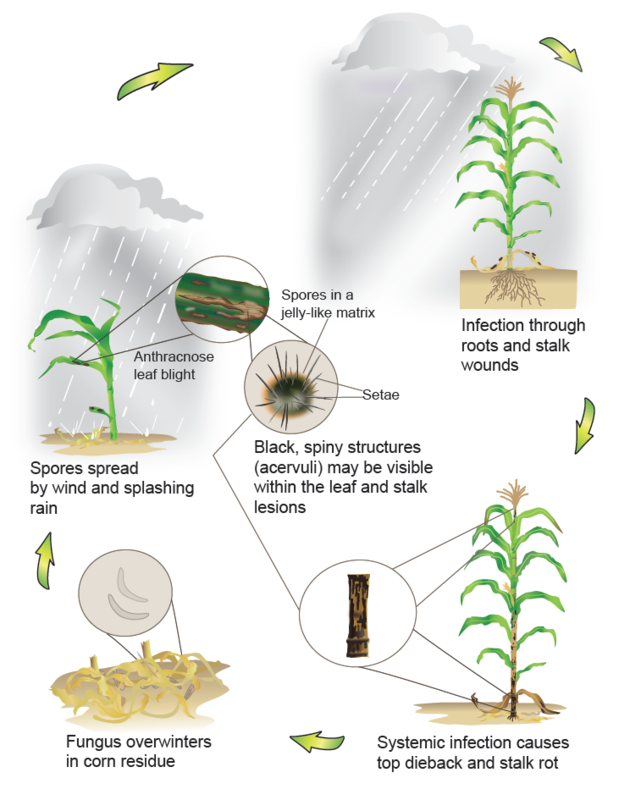 The fungus overwinters in corn residue and infects plants through the roots or by spores that splash onto the stalk or are carried by insects that may introduce them into feeding wounds. Seedlings can be infected, and some plants may die before pollination. 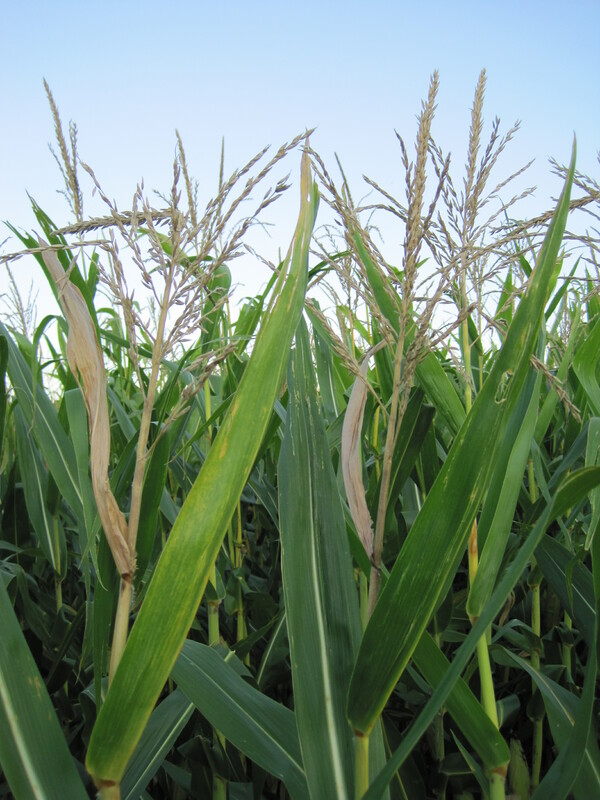 The disease usually does not appear until late in the season and occurs more severely where corn follows corn, especially in reduced tillage. Resistance to anthracnose is available in some hybrids. 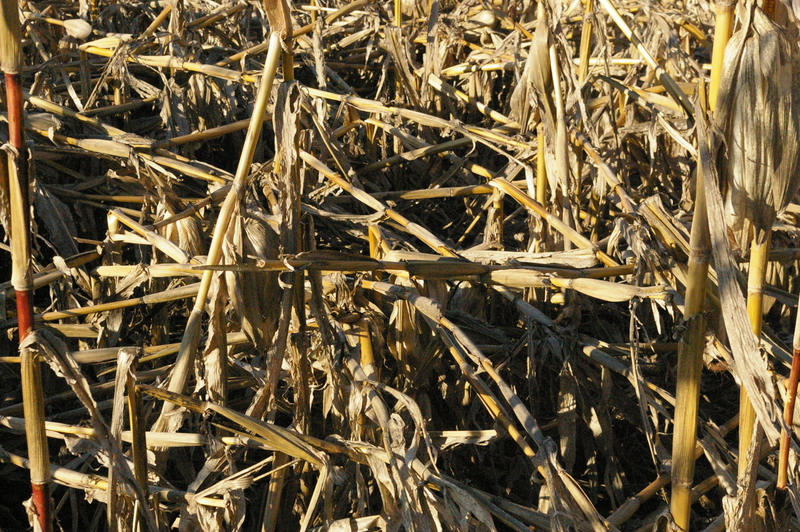 If a hybrid is resistant to stalk rot, it is not necessarily resistant to the leaf blight phase. Rotation and tillage will reduce inoculum. 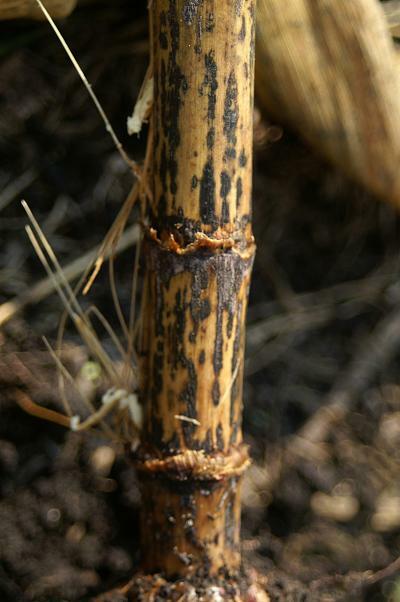 If more than 10 to 15 percent of stalks are observed to be rotted 40 to 60 days after pollination, the field should be scheduled for earliest possible harvest. 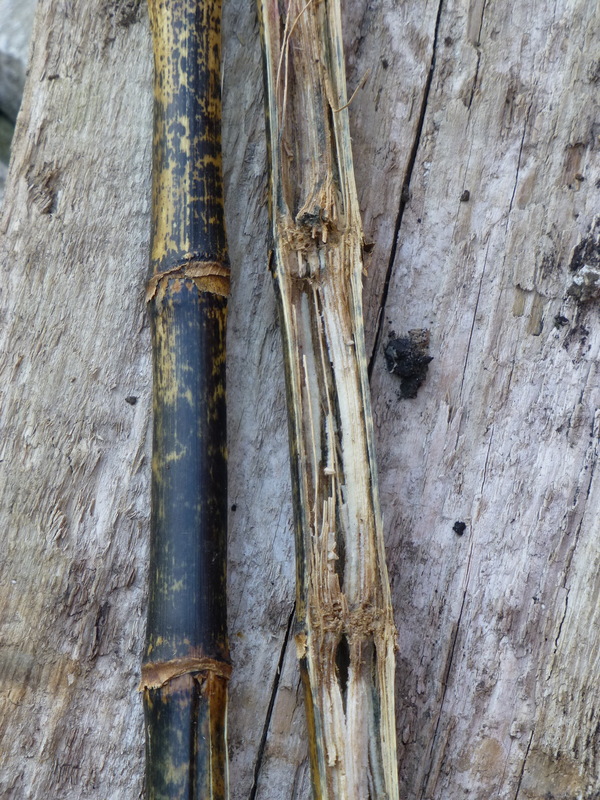 Dark lesions on the stalk exterior from anthracnose stalk rot. Early symptoms of anthracnose stalk rot. Lodging from anthracnose stalk rot. 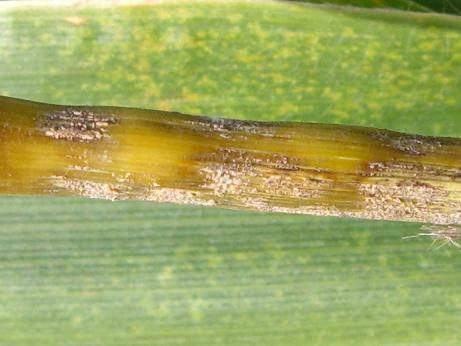 Spore masses on the stalk above the ear sometimes observed with anthracnose stalk rot. 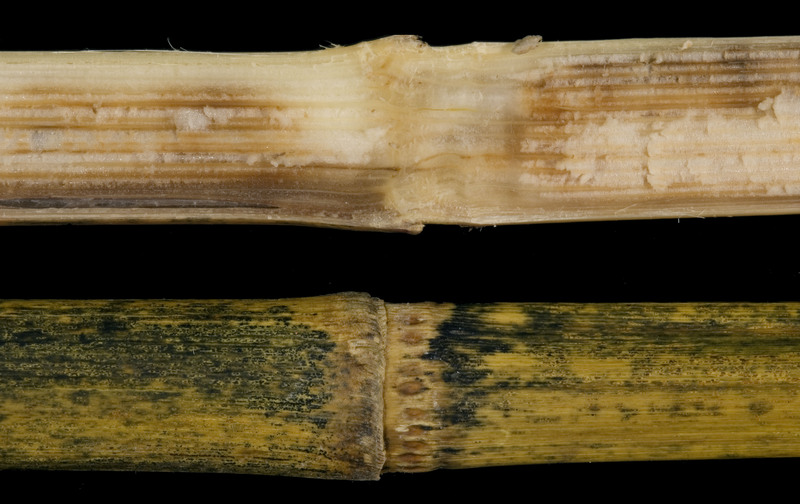 Anthracnose stalk rot symptoms include interior and exterior stalk discoloration. 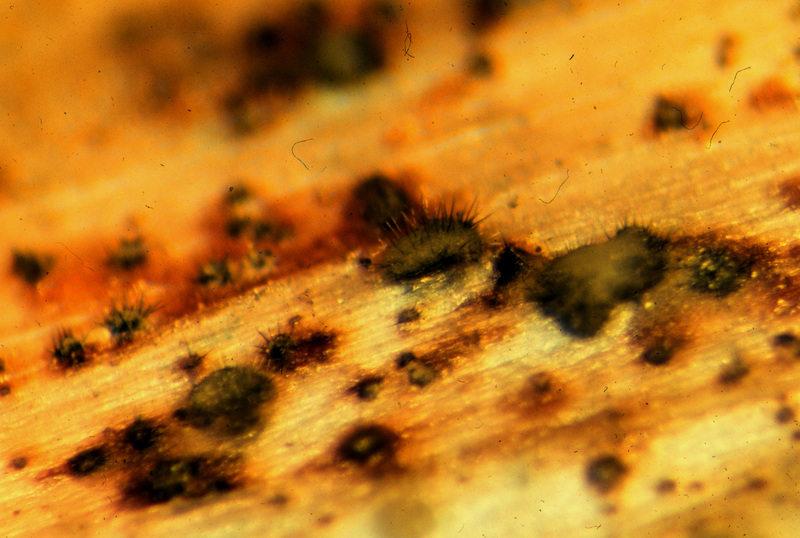 Anthracnose stalk rot signs include small, dark structures (setae) visible under magnification. 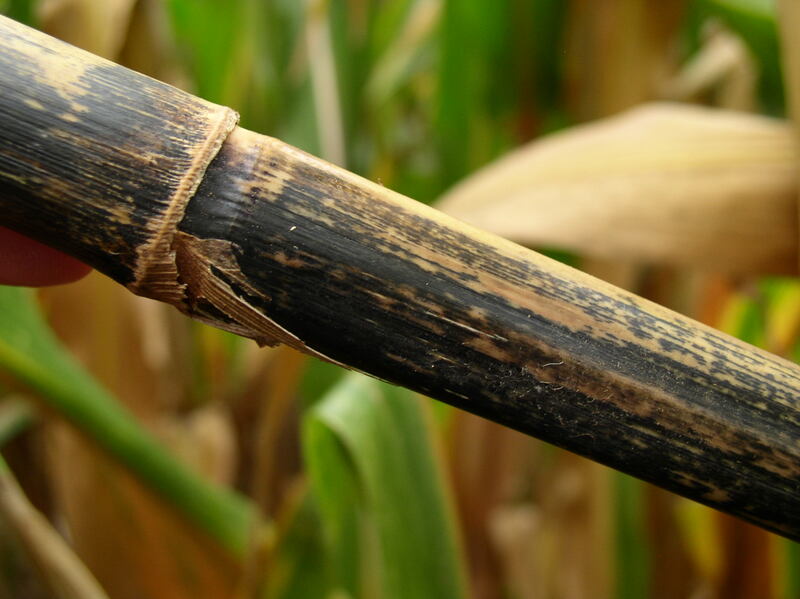 Stalk death above the ear can also be a symptom of anthracnose stalk rot. 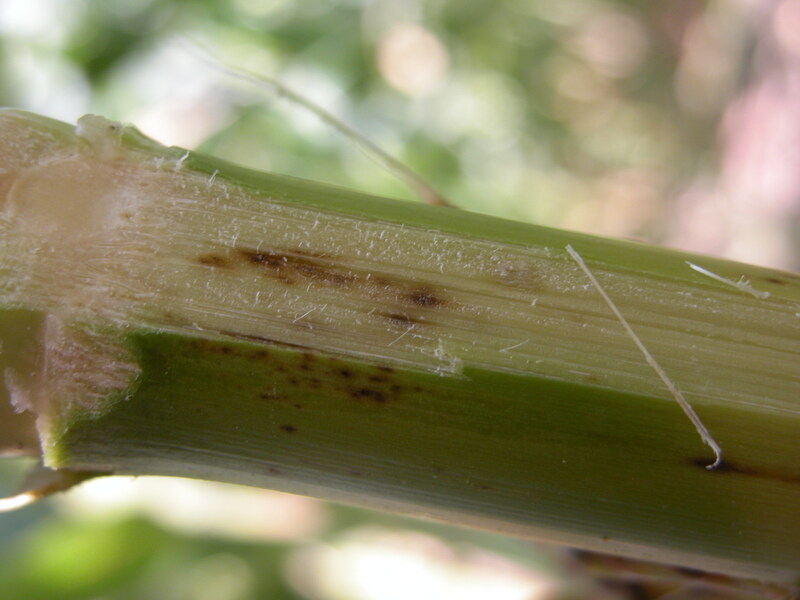 Anthracnose stalk rot symptoms on the interior and exterior of the stalk.